Microbiologist Bruce Geller and his team have made a key advance in the fight against drug resistance, crafting a compound that genetically neutralizes a widespread bacterial pathogen’s ability to thwart antibiotics. The findings are important because antibiotic resistance is a growing global threat, with the percentage of isolates with multidrug resistance on the rise for many bacteria. 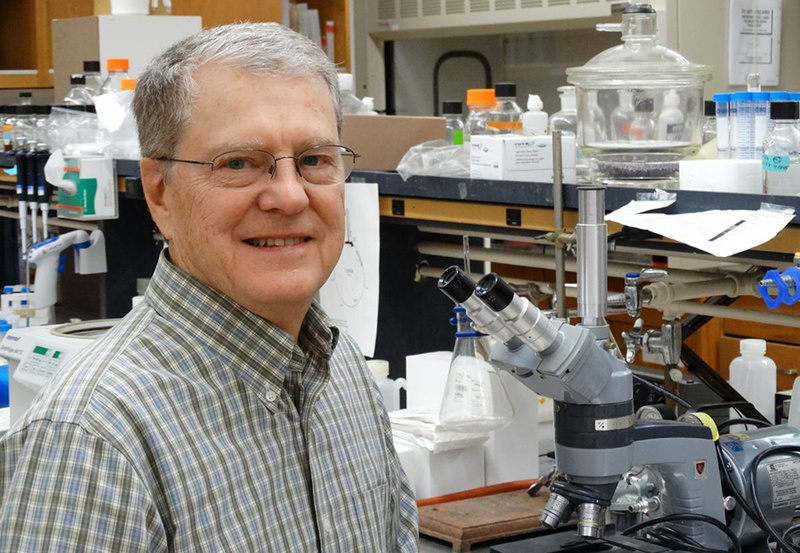 “Discovery of novel antibiotics has waned, effective modifications have become less frequent, inhibitors of resistance are limited, and economic factors in the pharmaceutical industry have dried up the development pipeline,” said Bruce Geller, professor of microbiology. Every year, two million people in the United States are severely infected with drug-resistant bacteria, and between the U.S. and Europe, nearly 50,000 people die annually from those types of infections. Using a traditional strategy of trying to find new antibiotics, chemically altering old ones, or combining antibiotics with resistance inhibitors, researchers have fallen behind in the race to stay ahead of drug resistance. But Geller and collaborators are developing a new kind of antibacterial compound known as a PPMO to fight antibiotic resistance. In their most recent study, published in the Journal of Antimicrobial Chemotherapy, PPMOs were designed and tested against Klebsiella pneumonia, an opportunistic pathogen that is difficult to kill and resistant to many antibiotics. “Klebsiella pneumoniae is a ubiquitous bacterium that lives in a lot of different environments,” Geller said. “It’s in soil, it’s in water, it’s really hardy. It can also colonize in people’s nose and throat without causing any pathology. In the study, PPMOs eliminated slimy secretions known as biofilms that Klebsiella makes to protect itself against antibiotics. The PPMOs were also effective in treating K. pneumoniae-infected mice – the first time a gene-specific therapeutic has been shown to be effective against K. pneumoniae in vivo, i.e., in a living organism. “It worked in a mouse model of pneumonia using a strain of Klebsiella that is resistant to all antibiotics except one, which is toxic and not often used,” Geller said. PPMO is short for peptide-conjugated phosphorodiamidate morpholino oligomer, which is a synthetic, nucleic acid-like molecule designed to silence bacterial gene expression; it inhibits growth by binding to specific RNA.